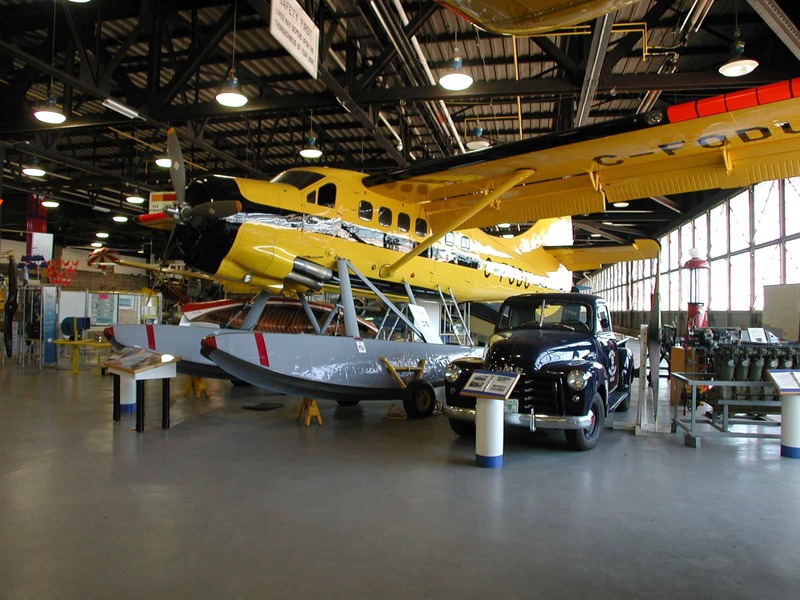 The Canadian Bushplane Heritage Centre was formed in 1987 by a small group of volunteers wishing to preserve Ontario's rich bushplane and firefighting heritage. At that time, the Ontario Ministry of Natural Resources agreed to allow the group to use a portion of the Fire and Aviation Division (formerly the Ontario Provincial Air Service) hangar at the edge of the St Mary's River in Sault Ste. Marie for displays and storage. Experience the exhilaration of take off in a vintage Beaver bush plane, the freedom of flight, the history of fighting fires from the sky, and the unexpected drama of setting "her" down. Using the Object Theatre format that Science North, Sudbury, pioneered, Wings Over the North at the Canadian Bushplane Heritage Centre in Sault Ste. Marie is an 'uplifting' experience like no other! As the story of bush planes in Ontario is unveiled through Pilot Ron and his canine co-pilot Charlie's adventures, the story is brought to life through objects and artifacts right in the theatre, and special lighting and environmental effects that make for an unforgettable flight. Wings Over the North is a production of Science North, Sudbury. Written and directed by David Lickley and produced by Robert Gagné. Wings Over the North is funded by the Northern Ontario Heritage Fund and Industry Canada/FedNor, with the support of the City of Greater Sudbury and the City of Sault Ste Marie. Produced in co-operation with SimEx, the Rusty Blakey Heritage Aviation Group Canadian Bushplane Heritage Centre and Science North Sudbury. Our newest attraction features an intense 3D presentation PACKED with special effects galore! The film tells the story of how the Ministry of Natural Resources – Aviation, Forest Fire and Emergency Services Branch battle Forest Fires in Ontario, both in the air and on the ground. Become part of the action with fire fighting ground crews battling a raging forest fire. Feel the adrenaline as you run through dense smoke rushing to the safety of a nearby lake. Experience the rush of the cascade of water from a CL-415 waterbomber onto an out of control forest fire. A classic Canadian Bushplane Heritage Centre exhibit, the Flight Adventure Simulator is located at the entrance of the Children's Flight Centre. Choose from three different 4-minute flights, each highlighting a different aspect of northern Ontario. Feel the thrill of the engines starting, the plane lifting from the ground and the nail-biting landings, all from the comfortable 5-seat cockpit. Considered a mild thrill ride, visitors of all ages will love this fun and unique exhibit!